Artline Felt tip pens with an aluminium body. For marking and lettering. Waterproof and quick drying. Writes on most surfaces such as paper, cardboard, glass, porcelain, etc. Does not contain xylene. 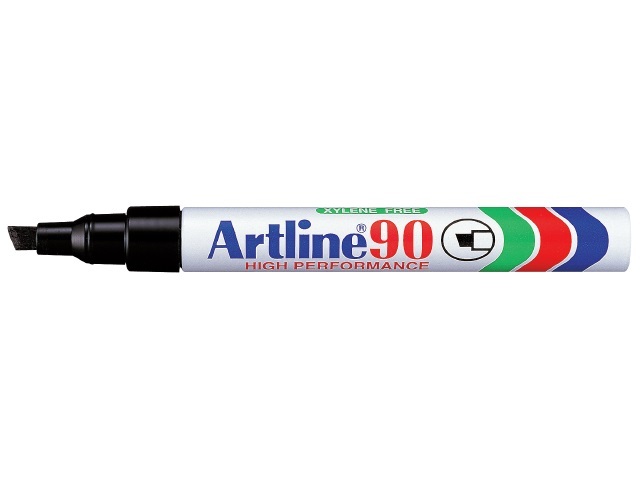 Artline 90. With chisel tip width 2,5 mm.